Our instincts helped get us out of caves and into centrally heated homes – but can they help us become better traders? Imagine you are one of our primitive ancestors. The world is a frightening place. Virtually everything is bigger, faster, hairier and stronger than you are. The only advantage that you have is your ability to think… but thinking is of little value in a life or death struggle. Suppose that you are out hunting in the primeval forest when suddenly, a vicious predator leaps out from behind a tree and attacks. The only behaviour that will offer any survival advantage is to attack, and become risk-seeking. To run would only invite an attack from behind, as your predator is superior in speed. This is the same behaviour that investors exhibit when faced with a growing loss. The evolutionary behaviour is to attack, to hold onto a trade, or to the property that is falling in value. It does not matter that the investor is faced with a losing trade or a deflating property rather than a sabre tooth tiger. We feel psychological pressure to become risk-seeking. Neither the sharemarket nor the property market rewards this impulse. Let’s return to our primeval scene and imagine that this time you have come across a bounty. The instinctive behaviour is to grab as much you possibly can, stuff your mouth full and then run.It may be a fruit tree, or a fresh animal carcass. There is likely to be something lurking in the bushes, waiting to attack you. Smart investors go against their own instinctive pressures. In the share market when a trade goes against them, they become be risk-averse and instantly exit. They become risk-seeking when a trade is profitable by pyramiding and adding more money to their position. Yet unprofitable share traders follow their instincts and let their losses run, yet cut their profits short. By giving into their own biology, they deplete their bank account. In ancient times, decisions had to be made rapidly, with limited cognitive input. Is the movement in the bushes simply the wind, or is it something more sinister? The only thing that would ensure survival was a snap judgment. We often feel compelled to transfer this primitive level of thinking to our investing. The popular belief is that investing is a series of instant decisions made in the hostile environment of the market. 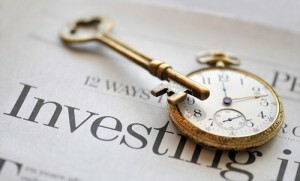 Effective investors plan with meticulous care and consider every aspect of their trade before committing their capital. Investors love to listen to gossip and rumour. This is also an evolutionary behaviour. In primitive tribal communities, gossip was the only form of news communication. Those who understood this were able to secure a competitive advantage. Sweet talking cavemen impressed the women, and rose up the political hierarchy of the clan – so this behaviour was passed on from generation to generation. The desire to listen to gossip and rumour (or to search for the next big tip) is hardwired into us. We are programmed to respond to it. As investors, it is totally meaningless as a form of behaviour and effectively works against us. In investing, our own evolution has conspired against us. The behaviours that in the past ensured our success have, in essence, guaranteed that the majority of people will never excel. The only way to overcome this is through self-awareness. Investing is not about ‘feeling right’ – it is about making money.